If you need a lot more storage space on your smartphone, tablet, computer, or other electronic devices, you’re in luck: SanDisk is now making 1TB microSD cards, one of the world’s first (Micron is also making some). You can pre-order the SanDisk Extreme 1TB UHS-1 microSDXC card for yourself starting now for a whopping $450. The microSD cards will ship sometime in late April, according to SanDisk’s website. It’s likely that once shipments begin for the card we’ll see them available for general sale from both SanDisk itself as well as third-party vendors, such as Amazon. The 1TB SanDisk Extreme UHS-I microSDXC card can reach speeds up to 160Mbps. 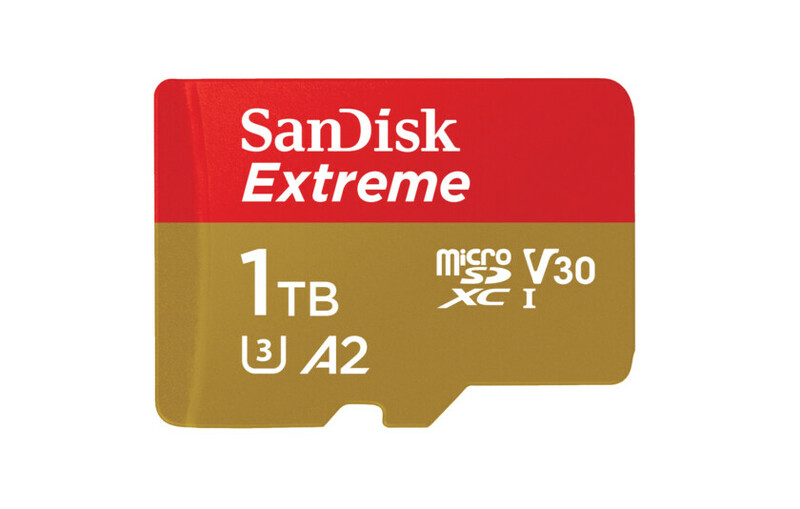 SanDisk says this is nearly twice as fast as standard UHS-I microSD cards on the market. Moreover, the card supports the A2 specification for storing and running Android apps with no speed issues. However, just because you have a 1TB microSD card doesn’t mean your device supports a card of that size. Be sure to check your user’s manual to ensure you’re not spending $450 on a card your smartphone or tablet doesn’t actually support. Click the button below to pre-order your card today!